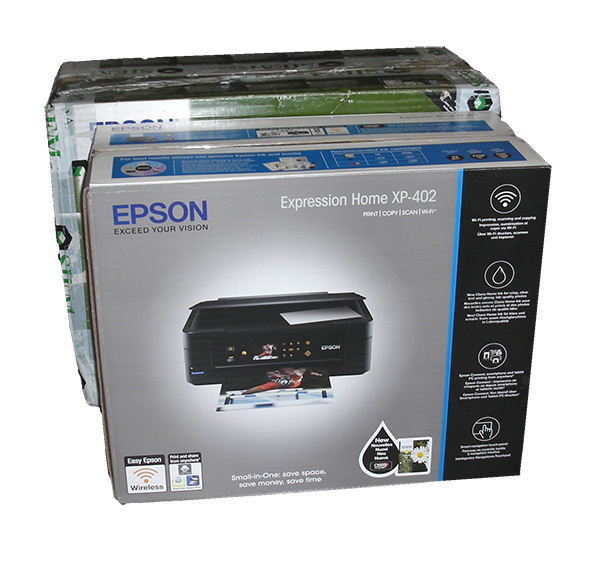 The packaging for the new range of multifunction printers has been reduced in volume by 25% and consists of three elements: the external packaging in corrugated cardboard, the container in PS (reduced in weight by 16% and 14% respectively) and the protective film in PP, weighing 45% less. These changes enable 11% more bottles to be loaded in a standard pallet. The company complies with UNI EN ISO 14001 standards. The ecological footprint of entire life cycle of this product has been analysed and its Eco Declaration has been conducted. The results of the parameters studied highlight that the reduction in environmental damage is due to both the reduction in volume of the packaging components and the optimisation of logistics.